Libraries all over the world will be celebrating the freedom to read during Banned Books Week at the end of September. This is especially topical in New Zealand right now, with the controversy surrounding Kiwi author Ted Dawe's award-winning young adult novel, Into the River. We sat down with Michelle Baker, Acting Manager of the Information Unit at the Office of Film and Literature Classification, to find out more about Into the River and "banned books" in New Zealand. Auckland Libraries: What’s the story with Into the River? 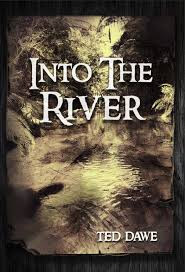 Classification Office: Into the River, published in 2012, was the winner of the Margaret Mahy Book of the Year Award at the 2013 New Zealand Post Children's Book Awards. Under New Zealand's Films, Videos, and Publications Classification Act 1993, books don't have to be classified before they are supplied to the public (in the way that films are). Instead, books are usually classified as a result of a submission from a member of the public, or enforcement action by Police, Customs, or the Department of Internal Affairs. The organisation Family First made a complaint to the Department of Internal Affairs about the book, and as a result it was submitted to the Classification Office. It was classified using the criteria set out in the legislation, and was classified M (unrestricted, anyone can access it, but it’s more suitable for mature readers). The Classification Act allows for people who are dissatisfied with decisions of the Classification Office to seek a review from the Film and Literature Board of Review. In the case of Into the River, Family First sought such a review. Upon their own examination of the book against the criteria in the Classification Act, the Board classified the book R14, restricting the book to people aged 14 and over). The President of the Board issued a dissenting decision, stating he would have classified the book R18. This was the first time anything in New Zealand had been classified R14. In most cases, once the Board has issued a classification, that classification is permanent. However, the Classification Act allows for people to seek a reconsideration of a decision under special circumstances. In early 2014, Auckland Libraries made a submission to the Classification Office for the Board’s decision to be reconsidered. Based on the arguments and evidence Auckland Libraries provided in their submission, the Chief Censor allowed the book to be reconsidered. As part of its second examination and classification of the book, the Classification Office consulted with libraries and other experts and stakeholders. In August 2015, the Classification Office issued a new decision, classifying the book as Unrestricted. Reviews and reconsiderations are a really important part of our classification system. They provide a way for New Zealanders to engage with the classification of books (and films and other things). In August 2015, Family First exercised their right under the Classification Act to apply to the Board of Review for a review of the Classification Office’s new decision. Family First also applied to the President of the Board of Review for an interim restriction order. The President granted the interim restriction order, and this means that the book can’t be sold or supplied to anyone until the Board issues their new classification decision. The Board of Review has said they’ll be meeting on October 2 to classify the book. You can find more detail about the unusual classification story of Into the River (including all of the Classification Office and Board of Review decisions) over on our student website. AL: Who are the Film and Literature Board of Review and what does their ruling on Into the River mean? Is it really “banned”? CO: The Film and Literature Board of Review is an independent organisation, headed by the President of the Board of Review, which operates separately from the Classification Office. Its role is to examine films, books and other publications when someone applies to them for a review because they’re dissatisfied with the decision made by the Classification Office, usually a few times a year. Interim restriction orders aren’t used very often. They can only be ordered by the President of the Board of Review (not by the Chief Censor at the Classification Office), and only when someone makes an application for one. In the past they’ve been used to stop films being screened at film festivals while the Board has been in the process of making their decision. This is the first time one has been issued for a book. An interim restriction order means that the book or film it’s being applied to must be treated as though it were a banned item – there is no option for the President to assign a temporary age restriction. The President of the Board of Review issued an interim restriction order after an application was made for one by Family First. The interim restriction order means that Into the River can’t be sold or supplied in places like libraries and bookshops until the Board of Review makes their decision on the book. While it is currently unavailable, this is a temporary thing and is not the same as classifying the book as Objectionable (this would impose a permanent ban and would make it illegal for anyone to even possess the book). AL: There have been lots of reports that Into the River is the first book banned in New Zealand in 22 years: is this correct? CO: No. Again, Into the River hasn’t been banned. When we talk about something being banned, we’re talking about something being classified as Objectionable under the Films, Videos, and Publications Classification Act. This isn’t what has happened with Into the River. AL: What are some of the types of books banned in New Zealand and why are they banned? CO: Most of the books that are banned in New Zealand deal with sexual exploitation of children or instruction in criminal activities. New Zealand’s classification system has a very high threshold for classifying something as Objectionable (banned) – the criteria in the Classification Act sets out what things need to be taken into consideration when classifying a book (or film, or any other publication). We also have to take into account the New Zealand Bill of Rights Act, which protects New Zealanders’ right to freedom of expression, “including the freedom to seek, receive and impart information of any kind in any form”. You can learn more about the criteria the Classification Office uses to classify things on our website. AL: The Office of Film and Literature Classification doesn’t just do books and movies: tell us about what else you make classifications on. CO: We can classify pretty much everything except for broadcast television and radio. Mostly we classify films, DVDs, and online television series, along with games and the occasional book. Over the years we’ve classified a range of things including billboards, drink cans and t-shirts. We also classify things submitted to us by Police or the Courts (usually these are computer files that depict the abuse of children). AL: If I wanted to submit an item for classification, what is involved? CO: Any member of the public can seek the leave of the Chief Censor to have something classified. There is a reduced fee for members of the public with no commercial interest in the item. When thinking about whether to seek leave to submit something for classification, it’s important to read through the criteria we use to classify things, and to remember that New Zealand’s classification system is not based on things like taste or decency – the purpose of our classifications is to inform people and help protect them (and the people around them) from harmful content. Our thanks to Michelle from the Classification Office for her time. Want to know more about The Office of Film and Literature Classification, and the work they do?